My daughter only had 3 partial days of school this week due to hurricane Sandy, but we are definitely some of the lucky ones. We have electricity, heat, and a roof over our heads. There isn't much more I can ask for after seeing all the damage this past week. She had caldron shaped nutella sandwich, grapes, Halloween pretzels, a candy corn marshmallow, and a Sistema Twist N' Sip* of water. 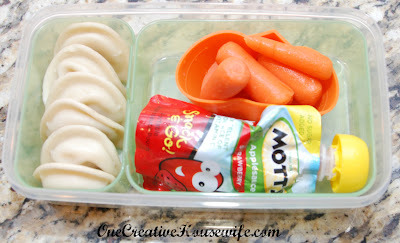 I packed her mini pierogies, carrots, applesauce, and a Sistema Twist N' Sip* of water. 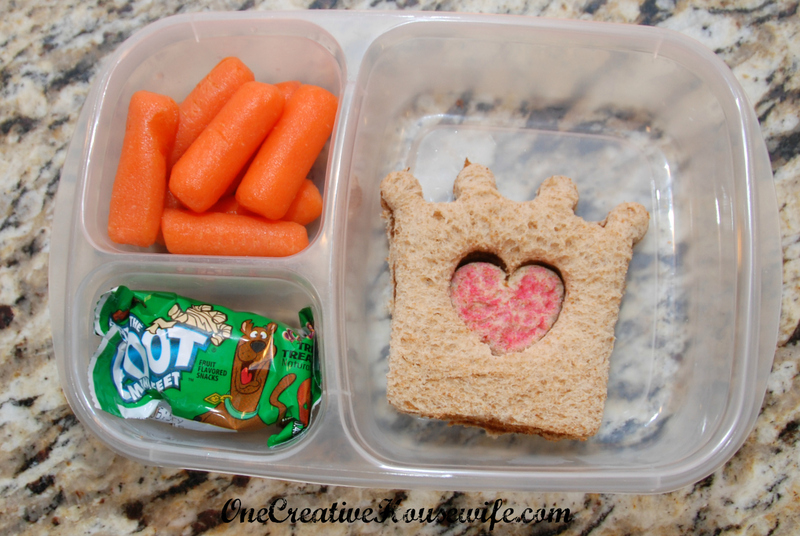 She had a Crown Lunch Punch* nutella sandwich, carrots, a Halloween Fruit by the Foot, and a Capri Sun. I love the Crown Lunch Punch! So adorable! Wanted to let you know I nominated you for the Leibster award. 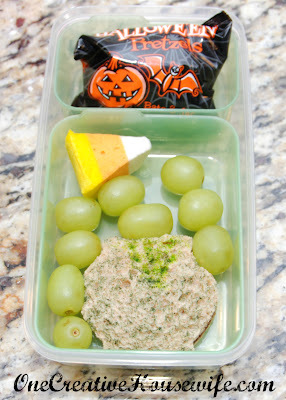 Check out my post that you are featured in and follow the Leibster rules.